PART I dealt with debuts in 2012. PART II deals with new series written by established authors. Can count on Julie Kagawa for excellent world-building, good romance, and strong protags (except Meghan did bother me in The Iron Daughter a little but...). Plus... vampires and the apocalypse? Um, whut? Before Calla Tor, there was Ember Morrow. Sixteen-year-old Lady Ember Morrow fulfills a family obligation by joining her friend Alistair in the Conatus Guard and begins training to help with the order’s true mission, to seek out and stop evildoers and their unnatural creations. I love Andrea Cremer's writing and world-building. 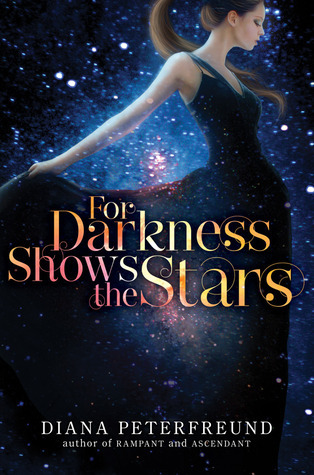 Though she favors love triangles, I do like the romance she includes for the most part and can't wait to find out more about the Nightshade world. Plus, this is a Middle Ages story. Love alternative perspectives on history. I've only read Switched from Amanda Hocking, but it was a really fast-paced read and had some interesting mythology so I'm looking forward to see what she'll bring to sirens. Author of the Demon's Lexicon Series Sarah Rees Brennan's YA gothic romance trilogy beginning with UNSPOKEN, about a budding journalist who investigates when she realizes the town she has lived in all her life is hiding a multitude of secrets and a murderer, and the truth may lie with the ruling family who have just returned to the manor on the hill and in the whispers she hears in her head from a boy who may not be imaginary after all. I've only read a few of SRB's short stories, though I have the first two Demon's Lexicon books. But still, she is the funniest and most charming author I've had the pleasure of meeting. I think I would give any book she writes a chance. Plus, Gothic + romance + mystery murder = score! Not enough Gothic stuff out there in YA. Julie Kagawa... how is it that you write so fast?! But I'd love to see some cameos from the Iron Fey characters and can't wait to see what trouble Meghan's little brother gets into. Lawson and his brothers escaped from the underworld and now lead desperate, dangerous lives, pursued by the Hounds of Hell from one town to the next, never calling any place home. But when the hounds finally catch up with them and capture the girl Lawson loves, the hunters become the hunted. Lawson will stop at nothing to track down the hounds—especially their ruthless former general—even if the chances of saving Tala are slim. The risks of being recaptured and enslaved by Romulus are high, and the boys’ search becomes increasingly perilous as they get closer to the hounds’ trail. But an unexpected discovery leads them to the one person who may be the key to winning the inevitable confrontation to come. Meanwhile, Bliss Llewellyn is adjusting to humanity after giving up her immortal vampire life. As she and her aunt Jane unravel the clues surrounding a disturbing attack on a young girl, they find themselves stalked by a terrifying force, so stealthy that Bliss doesn’t know who to blame until Jane is taken by the hellhounds themselves. Bliss will do whatever it takes to save her—even if it means joining forces with the insolent, dangerously good-looking boy with a wolf's soul and a too-intimate knowledge of Jane's captors. To be honest... I'm on the edge about this one. 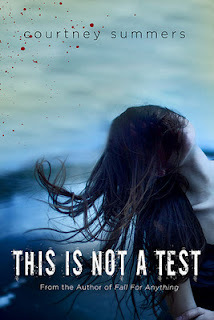 Melissa de la Cruz is one of those authors who writes really well but who also writes books with such SLOW, dragged out plots that I seriously consider whether or not to stop reading halfway through the series. Not sure I should give her a chance after Blue Bloods. Warring powerful New York City crime families, all with ties to the supernatural, vie for control of the fate of mankind. 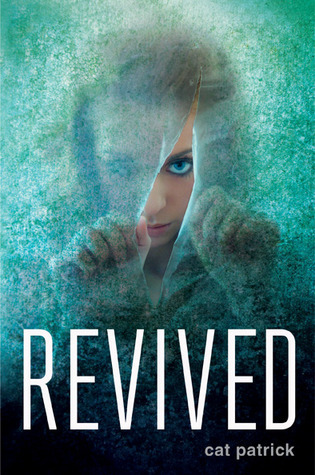 "...reminiscent of The Bourne Identity and 'blend Norse, Egyptian, and Greek mythologies with paranormal elements.'" I haven't read any of Lesley Livingston's other books, but I've heard good things about them, and this one sounds great. 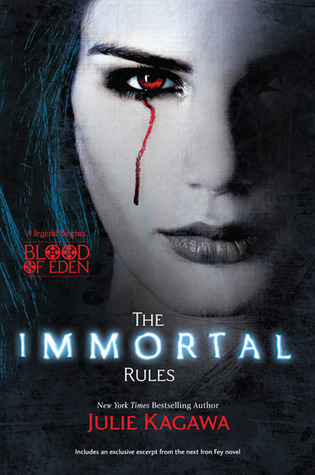 I looove The Bourne Identity and mythology and the supernatural. Release Date: ?, 2012 (or is it 2013? Goodreads is confusing). I really hope this one has as much humor in it as her Hex Hall series does... One review says that it's set place in the Civil War time period, which I think will be interesting to read. Rachel Hawkins, in general though, is an author I think I've grown to trust (i.e. knowing that I'll like her books no matter what). The same goes for Libba Bray. I loved the Gemma Doyle Trilogy. I own both Beauty Queens and Going Bovine but I have yet to read them. Besides Libba Bray being awesome... that description? Yes. Sounds like something I'd enjoy. I haven't read Diana Peterfreund's other series about unicorns, but I did read a short story of hers based in that world and I liked her writing and I LOVE Jane Austen. Persuasion was not my favorite of all of her works, but the description for this novel really sells it for me. It sounds amazing. Christine Johnson’s THE GATHERING DARK, about a gifted pianist who discovers that she and the mysterious boy she’s falling for are part of an alternate world made from dark matter, and in a race of love against fear, she must somehow save her life without losing herself. Haven't read anything of Christine Johnson's so this is me taking a stab in the dark... but this summary looks good. Really like the themes and mood in Melissa Marr's writing. That title? Wow. 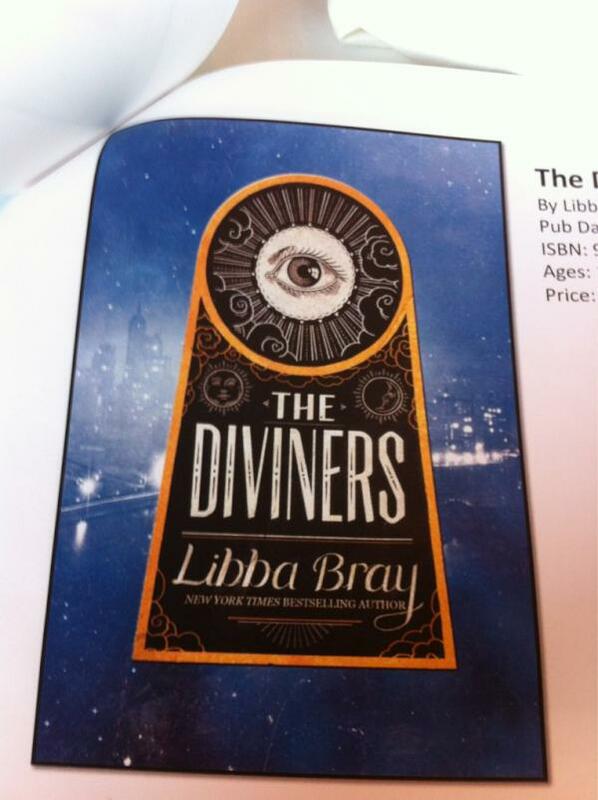 I have no clue what the book is about, but knowing Marr, it'll be something spooky and haunting but beautiful. I liked the idea behind Cat Patrick's Forgotten but was disappointed by how it played out... Am hoping that the same will not happen for the idea of this book which sounds awesome. After a suicide attempt, and now her parents' separation, Rinn and her mom move from California to the rural Ohio town where her mother grew up. Back on her medications (again!) and hoping to stay well, Rinn settles into her new home and school. 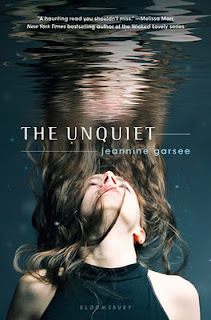 She refuses to be daunted by the fact that the previous owner hanged herself in Rinn's bedroom, or that her classmates believe the school pool is haunted by Annaliese, a girl who drowned there. But when a reckless séance goes awry, and terrible things start happening to her new friends—yet not to her—Rinn is determined to find out why she can’t be "touched" by Annaliese...or if Annaliese even exists. Sounds spooky. I really love novels that play with the protagonist's reliability. I've read one of Courtney Summers's contemporary novels and it was pretty good. I like the idea of her bringing some of those questions into a paranormal/apocalyptic novel. Merp, okay, so it's got a love triangle. 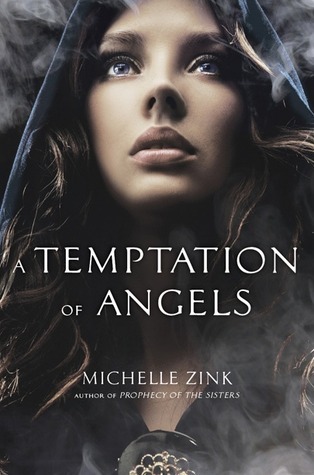 BUT I liked Michelle Zink's Prophecy of the Sisterhood trilogy and am trusting her to make Helen a smart protagonist. Plus, I read the short story the world this novel is built upon and really liked it so hopefully that will follow through as well. Stay tuned for My Most Anticipated of 2012 Part III: Continuation of Series. What books from established authors are you most anticipating? You realize I will never have time to read all the ones I want to (For Darkness Shows the Stars and Revived for sure, and The Unquiet and This Is Not a Test, maybe.)! I'm glad none of these come out for a while so that I actually have time to get sorta kinda caught up on my huge TBR list. Wow you picked some terrific books! I'll NEVER read Andrea Cremer again after the crap ending of the Nightshade series. 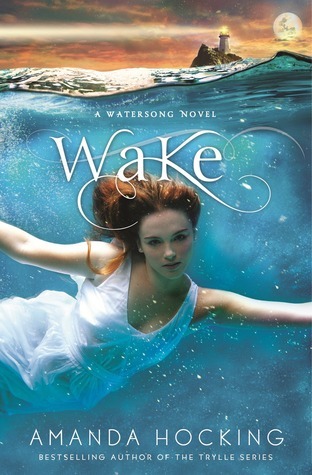 However, Wake, Wolf Pact, Rebel Belle and Carnival of souls sound fantastic, and all by authors I love. Great list! I really need to read the Immortal Rules by Julie Kagawa.